Item Euthanasia: Mercy or Murder? Description: Shocking statistics concerning a tragic slide toward permissiveness in the decision to end life early. Too often patients aren’t even consulted about their doctor’s finding that life for them is too meaningless to continue. Too often patients given an opportunity to make their own decision are led to believe they are a burden. This is information everyone should have. This is very useful in educating the faithful about euthanasia. It is a very difficult subject. More than ever, it is important to address this issue. These disappeared from our literature rack within weeks. Euthanasia is becoming all too accepted in the mindset of modern America. 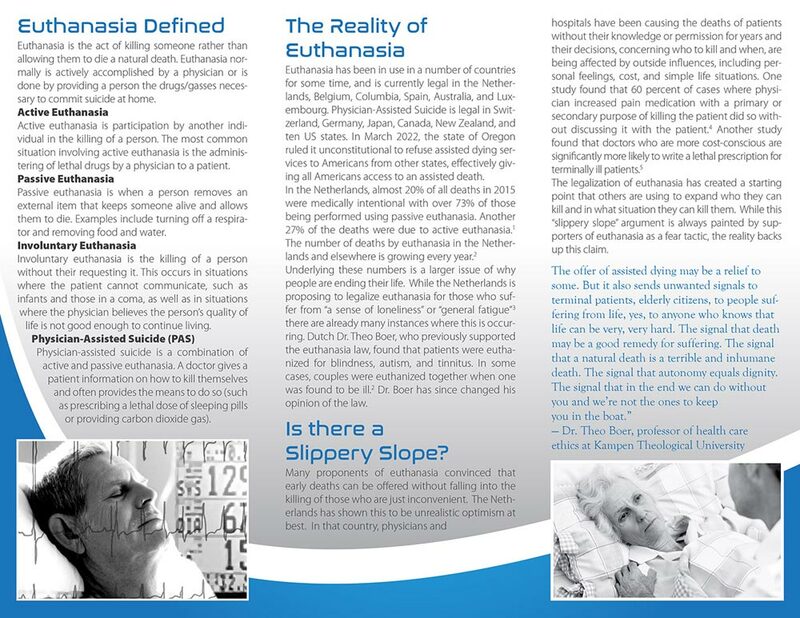 This eye-opening brochure clearly defines just what Euthanasia is and why it should not be tolerated. Well-organized and worded. This brochure is made of quality thick paper with larger print to make it easier to read, even for the elderly. 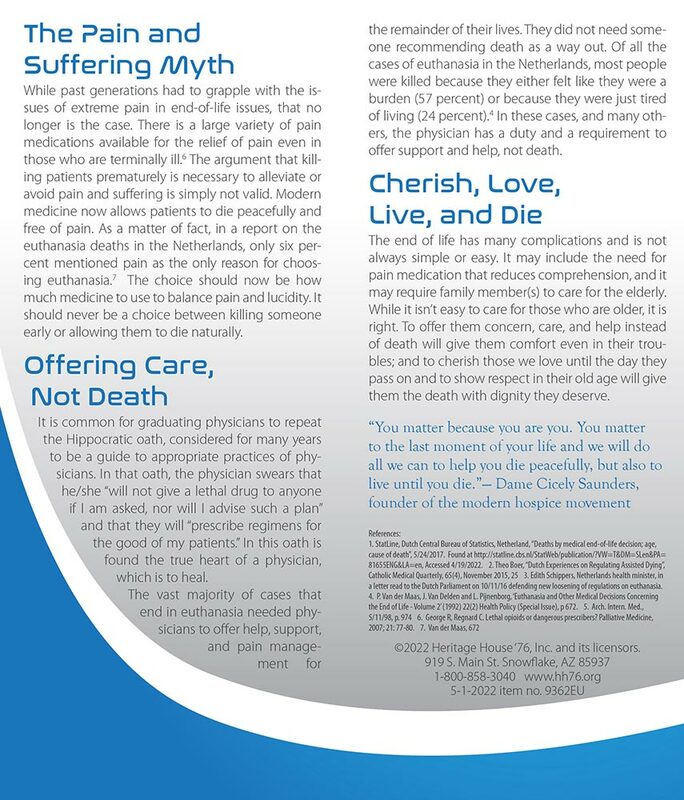 It explains the different methods of euthanasia in layman's terms and makes it easy to understand.